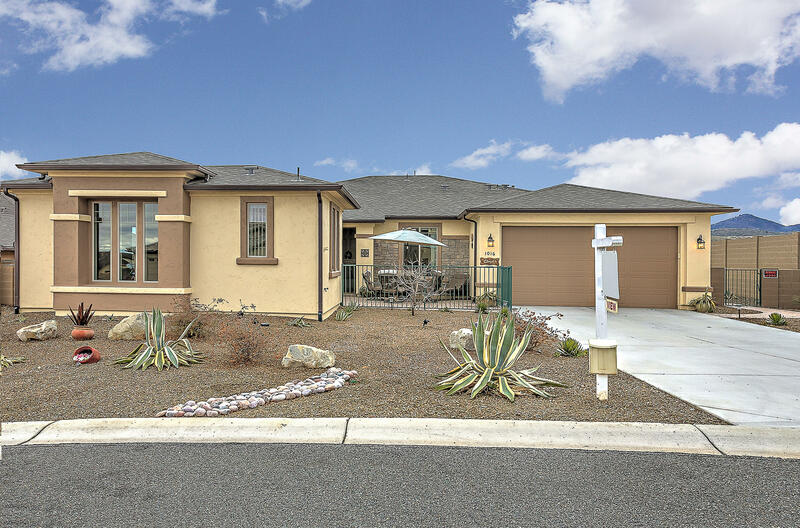 All Stoneridge homes currently listed for sale in Prescott Valley as of 04/23/2019 are shown below. You can change the search criteria at any time by pressing the 'Change Search' button below. 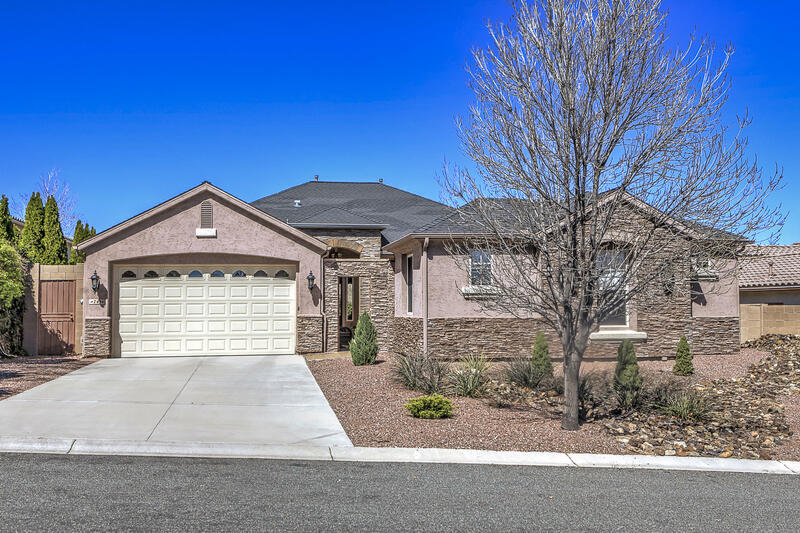 If you have any questions or you would like more information about any Prescott Valley homes for sale or other Prescott Valley real estate, please contact us and one of our knowledgeable Prescott Valley REALTORS® would be pleased to assist you. 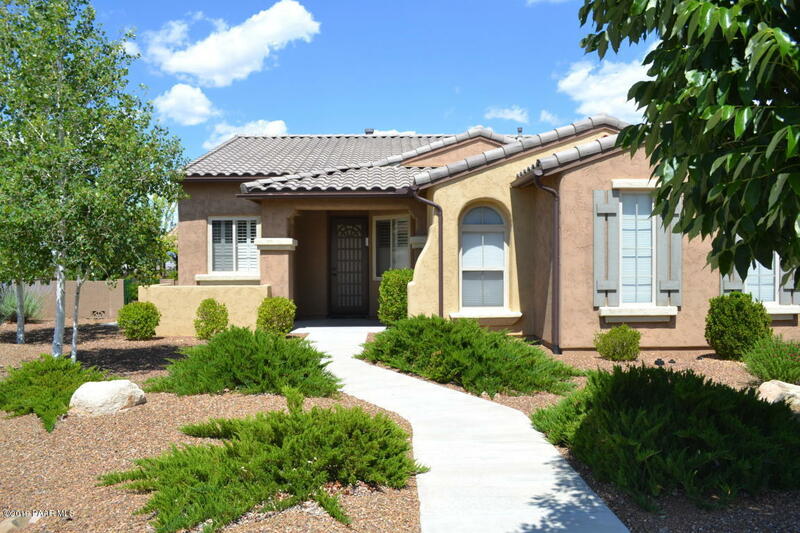 "AMAZING STONERIDGE GOLF & MOUNTAIN VIEWS HERE! Feels Like a Large Resort Home with Upgrades Everywhere! 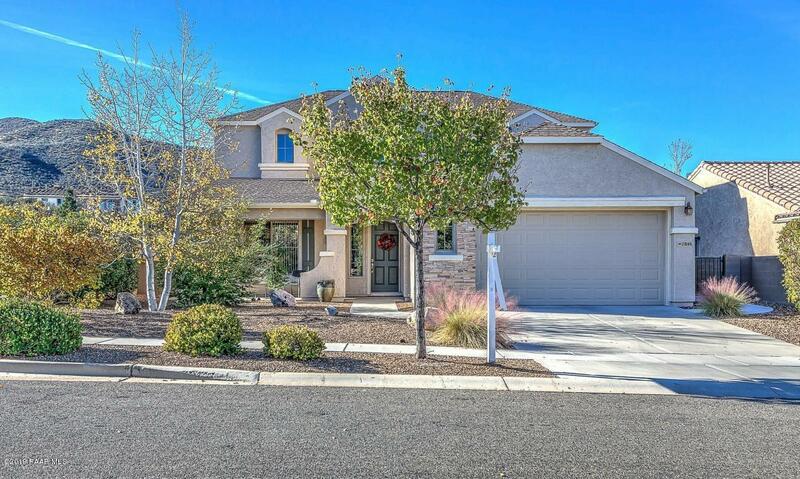 Big 3549 SqFt, 6BD/4BA+ GreatRoom + Formal Living & Dining Rooms + Game Room + Loft/Family Rm. Really Nice Open Concept Granite Kitchen w/Views, Upgraded Stainless Appliances, Granite Butlers Counter, Big Double Door Pantry. Tiled GreatRoom w/Gorgeous Floor to Ceiling Stacked Stone Cozy Fireplace, Sunny Wall of Windows w/Breathtaking Views, Media Niches & Informal Dining Area. 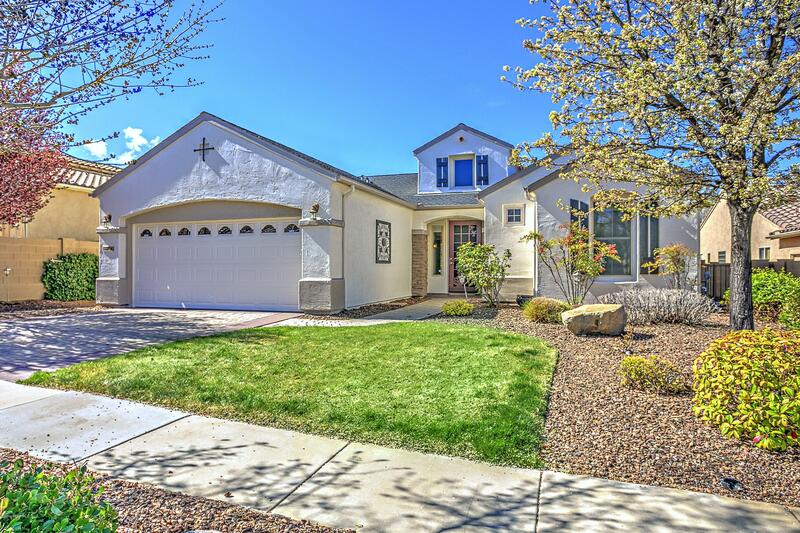 Spacious Master "
"Magnificent spacious home located in Stoneridge on premium cul-de-sac lot with mountain and golf-course views! Upgrades galore including kitchen cabinets, audio pre-wire, stair railing, windows, central vac, jetted tub, extended paver patio. Bonus room potential for guest suite or office with separate entrance. Option to live on main level with upstairs for guests. Multiple zoned heating and AC units. Indoor - outdoor living in the spectacular professionally landscaped yard including fire p"
"Hurry! StoneRidge Serene Dream Home for Sale! StoneRidge Golf Community Summit Plan with Gorgeous Upgrades Throughout! 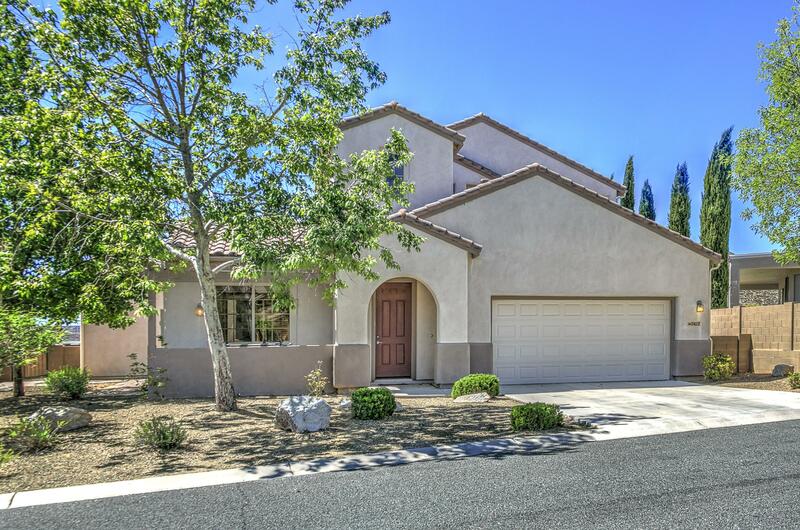 Nice Single Level, 2866 SqFt, 4BD/3.5BA/2 Car Garage + Great Room + Bonus Room + Den. Large Open Concept Living Here! 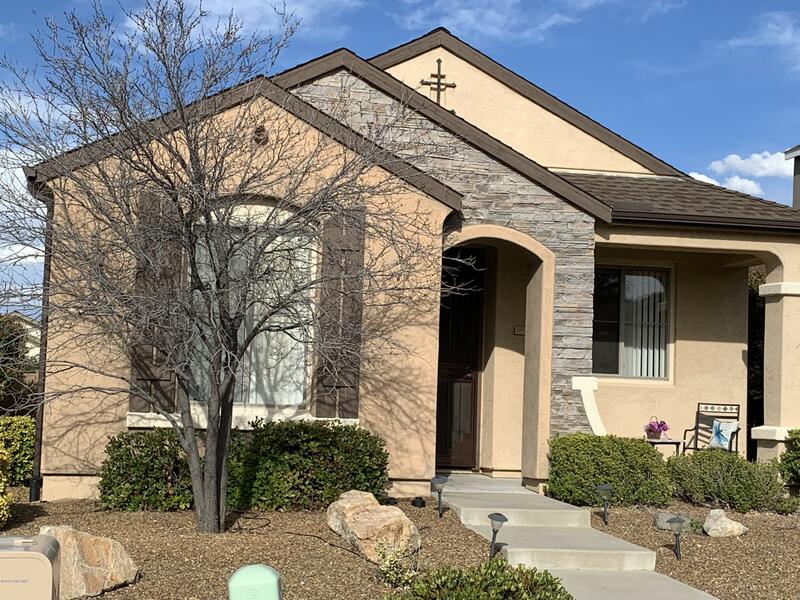 Upgraded Granite Kitchen w/Newer Stainless Appliances + Stainless Refrig, Convection Oven, Maple Cabinetry w/Handles & Slide-out Shelves, Pull-out Faucet, Pendant & Recessed Lighting, Big Double Door Pantry & Sunny Tiled Dining Area. Great Room with Wall of Slid"
"Spacious, Upgraded Stoneridge Sage Plan with Breathtaking Views + Casita with private entrance that may be used as a fourth bedroom! 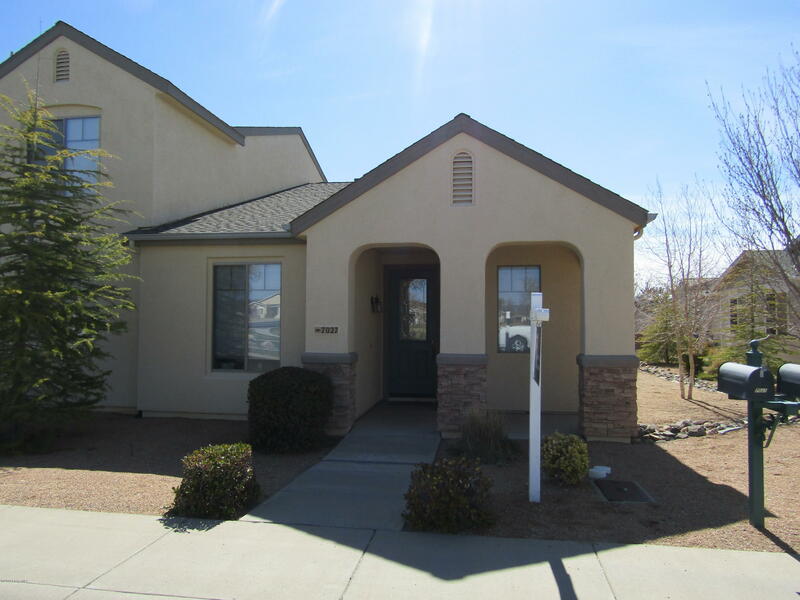 Nice single level home with 3bedrooms, 3.5 baths & 3 car garage, 2237 SqFt. The kitchen features hardwood staggered cabinetry, a granite island, glass front cabinets, and slide-out shelvesas well as a dining area. Ceiling fan in the great room, which sports 18'' tile flooring, along with a great view! The master suite offers a bay window sitting area.Sunshine flows"
"Looking for views? How about green space out your back door? Look no further! 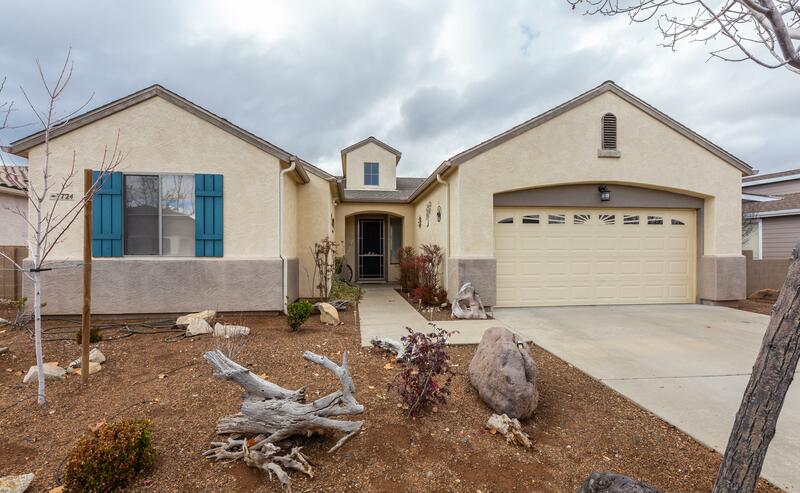 This beautiful 4 bedroom, 2.5 bath home comes with views of the mountains and the golf course and backs up to a city park! The home is immaculate! A bright and inviting home with front and back yard landscaping and fabulous curb appeal. The highly desirable Acacia model has an open main level that includes the master suite. It is perfect for entertaining with great space for guests or family upstairs. 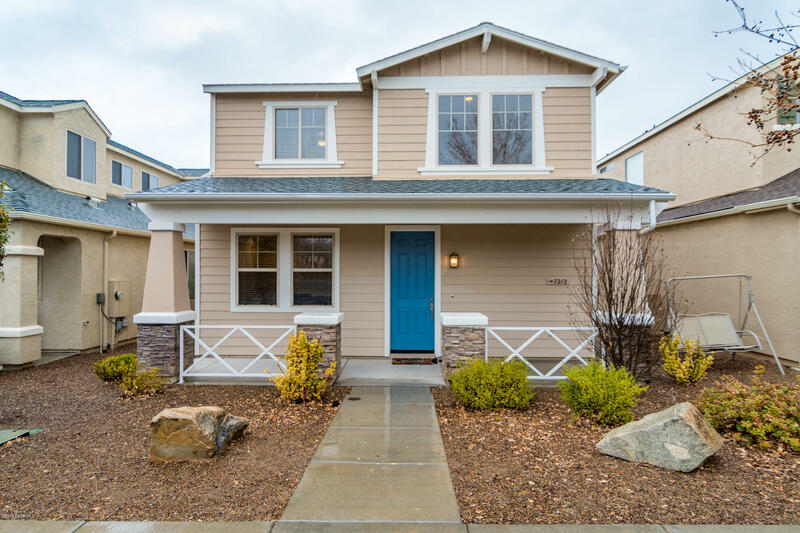 This home boasts "
"Highly Desired StoneRidge Ash Plan, Beautiful & Upgraded Throughout, Single Level, Split Floorplan, 2045 SqFt Includes 3 BD + Bonus Room/2BA/3 Car Split Garage. Nice Open Concept Kitchen has Lrg Granite Island & Granite Counters, Stacked Beechwood Cabinetry w/Double Shelf Slide-outs, Handles & Pulls, Stainless Appliances + Refrigerator, Newer 5 Burner Gas Double Oven w/Convection, Double Door Pantry, Recessed Lighting, Reverse Osmosis Water System & Tiled Dining Area. Great Room with Vertical Bl"
"Highly Desired Stoneridge English Lupine Plane with Upgrades Throughout! 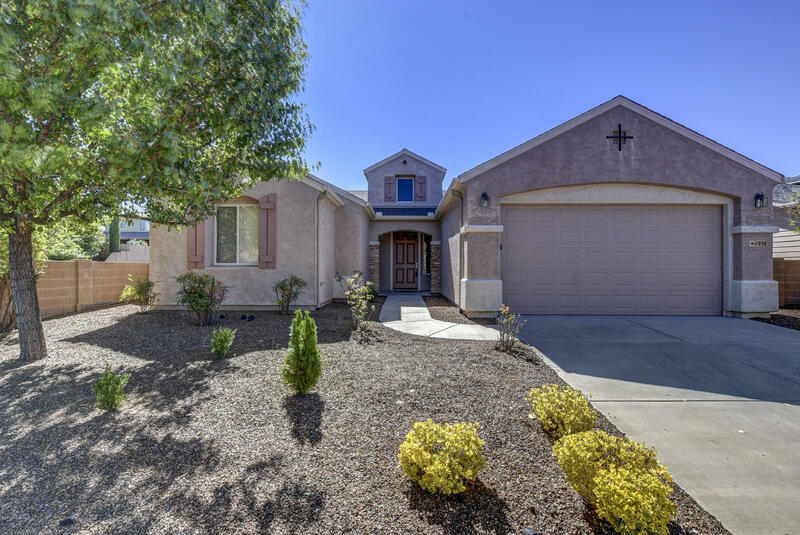 Open Granite Kitchen w/Granite Island, Counters & full Back-splash, Jenn Aire Stainless Appliances, Wall Convection Oven & Microwave, Gas Cook-top w/Hood, Refrigerator, upgraded Cherrywood Cabinetry w/Slide out Shelves & Pulls. Diagonal Tile Flooring & Sunny Dining Area with Bay Window. Great Room w/Cozy Tiled Fireplace, Plank Wood Laminate Flooring, Silhouette Blinds, Recessed & Art Lighting. Bose Surround Speakers & Slidi"
"This beautiful 2 story home on large corner lot will not be available for new buyer occupancy until December 2019. Currently being leased for $2300 per month. Home offers 2 large master suites, 1 on main level and 1 upstairs. 3rd and 4th bedrooms are on second level. 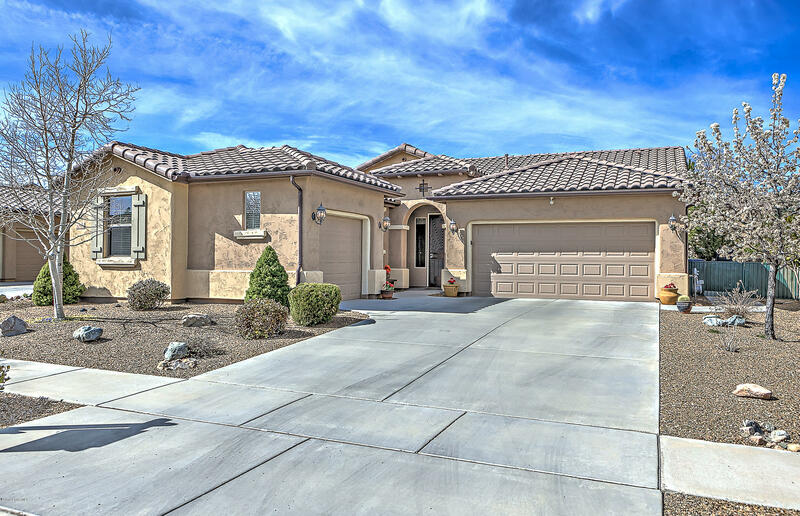 Downstairs"
"Great home is in a fantastic golf community.This home is the popular Lupine plan. A 3 bedroom 3 bath den/office or family room , large kitchen w/island, his/her walk-in closets,Large master HOA pays trash pickup, community indoor/outdoor swimming pool, spa, fitness/exercise center, basketball,tennis courts and golf.Make an appointment and see this great home." "BEAUTIFULLY UPDATED STONERIDGE VIEW HOME! TURN KEY READY AND BACKS UP TO HOA OWNED LAND.POPULAR 'OAK' FLOOR PLAN FEATURES 3 BEDROOMS - ONE W/ENSUITE BATH, PLUS OFFICE/DEN. CHEFS KITCHEN WITH NEW SUITE OF STAINLESS STEEL APPLIANCES AND LARGE ISLAND. GAS FIREPLACE IN GREAT ROOM ADDS WARMTH & AMBIANCE! MASTER INCLUDES LARGE BATH WITH SOAKER TUB, SEPARATE SHOWER AND WALK-IN CLOSET, COMFORT HEIGHT COUNTER W/DUAL SINKS & ELONGATED TOILETS.ENJOY THE OUTDOOR KITCHEN WITH LOVELY GAZEBO FURNISHED WITH BEA"
"Not ready to move but want a perfect house for next year or looking for a wonderful rental property. 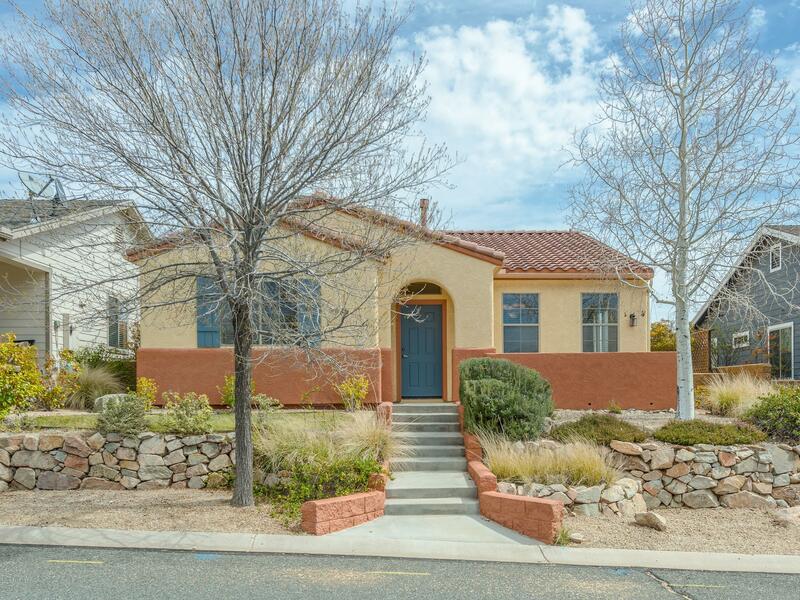 This adorable very well maintained home in Stoneridge is rented until August 2020 for $1950 per month. Premium corner lot has wonderful views, lots of privacy, backs to open space and offers charming back and side yards with Gazebo. Community center is just a couple of blocks away. Inside of home has 3 beds, 2 full baths, formal dining room, great room with gas fireplace, white wood shutters"
"If you are looking for the perfect family home in Stone Ridge, then look no further. 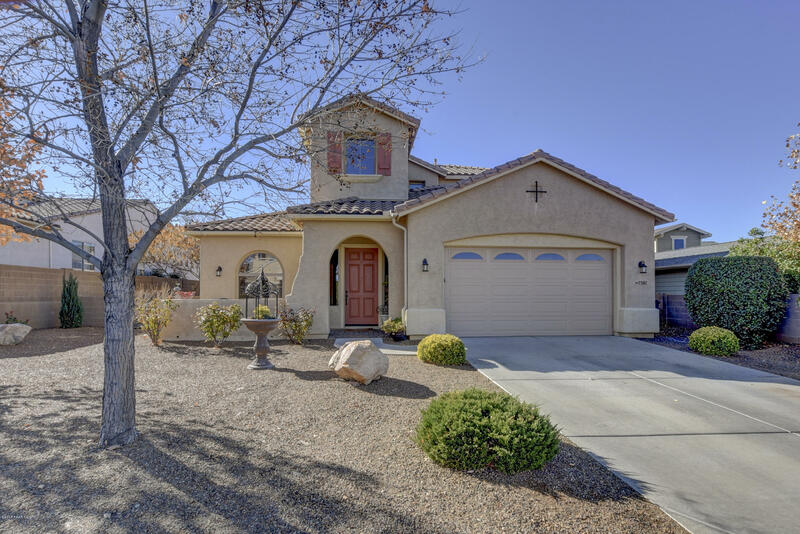 This two story home offers main level living with a large master downstairs and two spacious guest rooms upstairs that are perfect for privacy or a family with kids. There are two living areas one downstairs and one upstairs offering the perfect space for the kids to have their own living room and the parents to have theirs. The downstairs offers a spacious and well upgraded kitchen with a formal dinning area, a"
"Highly Desirable StoneRidge ''Monterra'' Plan with Mountain Views in Section 2B. Very Quiet Corner with small stand of Pines surrounding Beautiful Cooper Fountain popular with local birds plus room for small garden or putting green. 2BR/2BA/Office/2GAR, 1636 Sg ft. with natural Paint Throughout! Light and Bright Great Room w/ Media Niche, Cozy Fireplace w/Tile Surround and Slider to covered AZ room facing Side Yard. Extra Long two car Alley Parking plus extra deep two car garage with two side "
"Amazing, turn-key home in StoneRidge! Great location, walking distance from the clubhouse and restaurant. Beautiful landscaping in front and backyards. 2-car garage with apoxy flooring, extra storage, and cabinets. Spacious open floor concept from the great room with a gas fireplace to the eat-in kitchen and dining room area. Double doors lead to a sizeable den/office. Kitchen with oak cabinets and an island. Elegant fixtures and ceiling fans throughout. 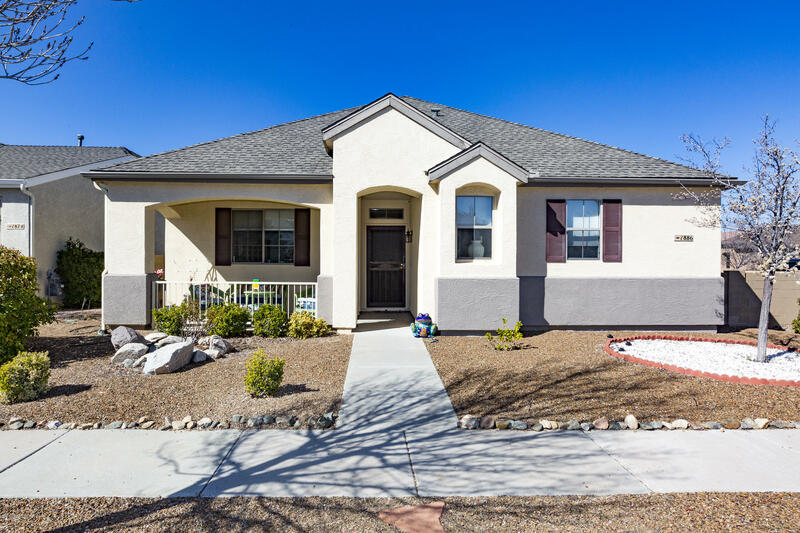 Impressive master suite with huge wal"
"Are you looking for a home in The Stoneridge subdivision this well laid out Two bedroom Two bathroom home is now available. This home has been designed for curb appeal with the Garage in the Rear of the home with alley access. The side yard has irrigation mature rose bushes along with a nice patio and stubbed for your Gas Grill. Don't let this one get away." 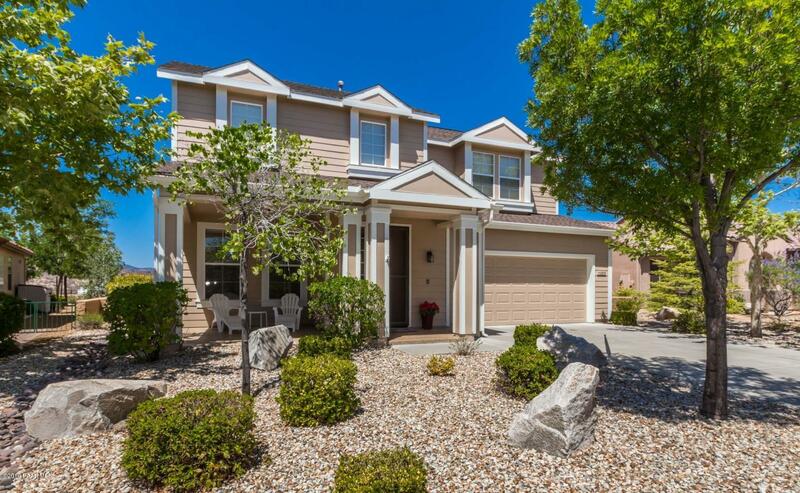 "Enjoy one story, end unit living in this rare Stoneridge Townhome! Fantastic views, walking trails, golfing, restaurant, outdoor AND indoor pools, tennis, basketball, fitness center and parks! Well maintained, prime quiet location directly across from park. Separate laundry room with utility sink and washer/dryer included. Kitchen breakfast bar, covered patio, walk-in closets and master bath with dual sinks. 2 Car garage & fridge is also included. Townhome HOA dues cover amenities above p"